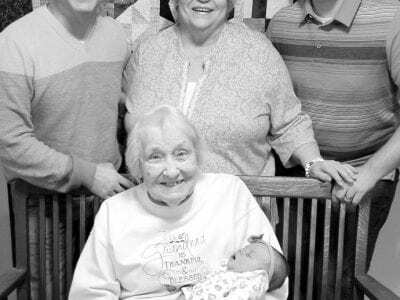 Five generations of Colegroves gathered together recently at Nellie Merillat’s home in Archbold. Front: Nellie with greatgreat granddaughter Audrey Mai Colegrove, born Jan. 14. Back row: Ryan C… Sorry! This content is only available to paid subscribers at this time. Please login below, or consider purchasing a subscription today! 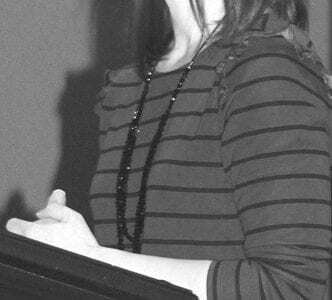 Jamie Wyse talks about the late Inez King, rural Archbold, at the Community Health Professionals Home Care & Hospice Beacon of Hope Dinner and Auction, Friday, March 8. King, who died in No… Sorry! This content is only available to paid subscribers at this time. Please login below, or consider purchasing a subscription today! Moriah Reichert, Archbold, was named to the president’s list for the fall 2018 semester at Capital University, Bexley. Students must earn at least a 3.85 gpa to qualify. Nate Hartzler, Pettisvi… Sorry! This content is only available to paid subscribers at this time. Please login below, or consider purchasing a subscription today! 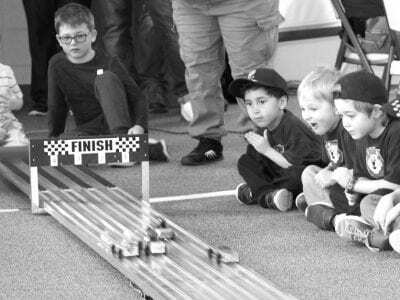 There were some close finishes during the Archbold Cub Scout Pinewood Derby, Saturday, March 9, at St. Martin’s Lutheran Church, Archbold. Above: Lion Cubs watch as their cars finish a heat rac… Sorry! This content is only available to paid subscribers at this time. Please login below, or consider purchasing a subscription today! Leah Hall and Madison Myers, both of Archbold, were named to the dean’s list for the 2018 fall semester at Grand Valley State University, Allendale, Mich. Students must earn at least a 3.5 gpa … Sorry! This content is only available to paid subscribers at this time. Please login below, or consider purchasing a subscription today! 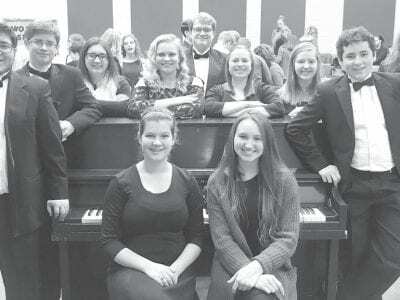 Archbold High School choir students participated in two recent honors events. 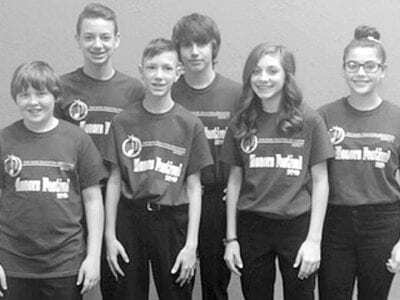 The photo above shows the students who participated in the Fulton County Honors Music Festival at AHS, Sunday, Feb…. Sorry! This content is only available to paid subscribers at this time. Please login below, or consider purchasing a subscription today! Mr. and Mrs. Cloyce NofzigerCloyce and Nancy Nofziger, Archbold, are celebrating their 50th wedding anniversary. 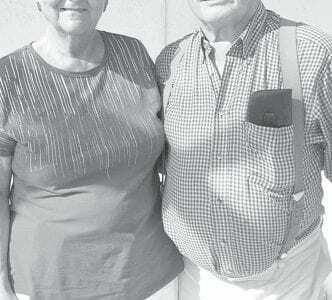 Cloyce Nofziger and Nancy Yoder were married Feb. 15, 1969, at North Goshen Mennonite … Sorry! This content is only available to paid subscribers at this time. Please login below, or consider purchasing a subscription today! 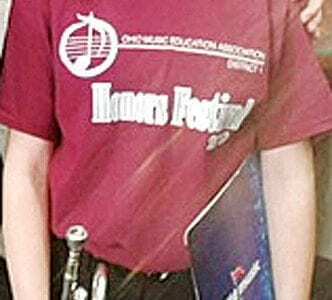 Jacob Myers, a freshman at Eastern Mennonite University University, Harrisonburg, Va., is a member of the university Choir and Emulate Chamber Ensemble that will conduct a March spring break tour in … Sorry! This content is only available to paid subscribers at this time. Please login below, or consider purchasing a subscription today!